We welcome and encourage both financial and food donations. 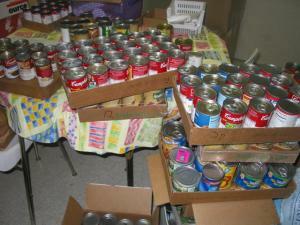 Financial donations allow us to purchase needed foods that are not donated and to purchase serving supplies. They also help us to maintain and upgrade our kitchen and dining facility. 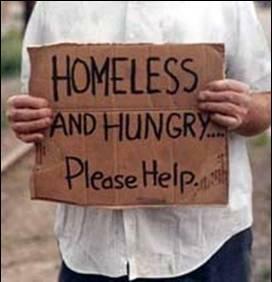 The Wildwood Soup Kitchen is a not-for-profit 501 (c)(3) organization dedicated to feeding the hungry. We receive no financial support from the government -- local, state or federal -- and rely completely on the generosity of individuals, churches, civic organizations, and businesses. We gladly accept and greatly appreciate any and all donations. Your donation is tax-exempt. Please send financial donations (check or money order made out to the "Wildwood Soup Kitchen") to our mailing address. Click here to download a copy of our donation form (in PDF format). Simply fill it out and then mail it to the Wildwood Soup Kitchen at the address displayed in the left panel of this page. If you have questions, you may email our treasurer. You may also donate by using the PayPal icon link in the left side panel of this web page. We prefer a check since PayPal deducts a small amount of the donation to process the transaction. Would you consider donating to the Wildwood Soup Kitchen through your will? Click here to download details. We do accept stock and mutual fund donations. Please email us for further information. We welcome and encourage food donations. If possible, please deliver all food donations directly to the Soup Kitchen, Monday through Saturday between 8 a.m. and noon. If for whatever reason you are unable to deliver the food yourself, please call the Soup Kitchen during these same hours and we will arrange to have the donation picked up. If you wish to donate food products to the Wildwood Soup Kitchen, the most useful items are basic food staples; e.g., canned vegetables and fruits, pasta, rice, etc. (See the list below.) The Wildwood Soup Kitchen almost daily supports other food banks and kitchens in the Sumter County area by sharing supplies and excess items of things we are unable to use. With respect to the canned goods, the larger the cans, the better; although we certainly accept small cans of any needed products. Please note: Large size cans are especially helpful. .If you have a question about what to donate, please don't hesitate to call the soup kitchen between 8 a.m. and noon, Monday through Saturday, at (352) 748-1008. God bless you and thank you for your generosity.